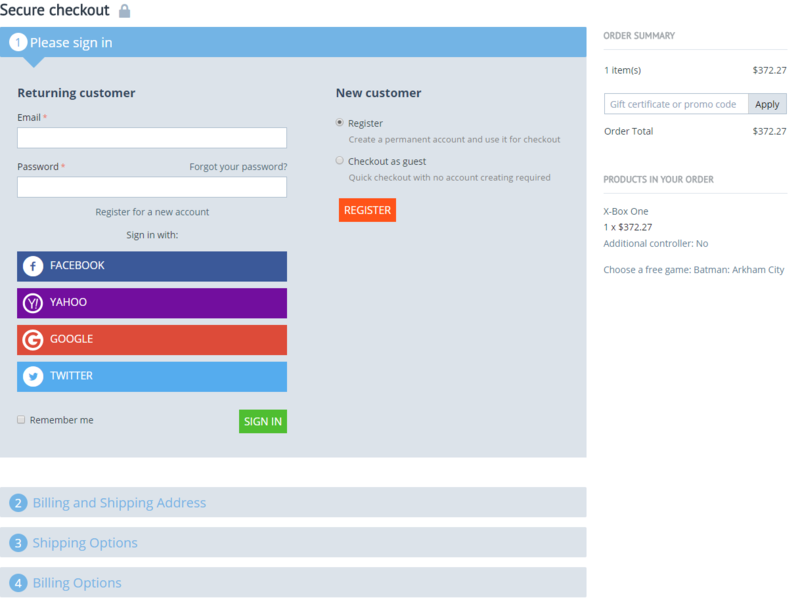 Allow customers to log in to the store using their Facebook, Google, Yahoo or Twitter accounts. The Enhanced social login add-on works only with the default Social login add-on enabled and the corresponding social providers set up. 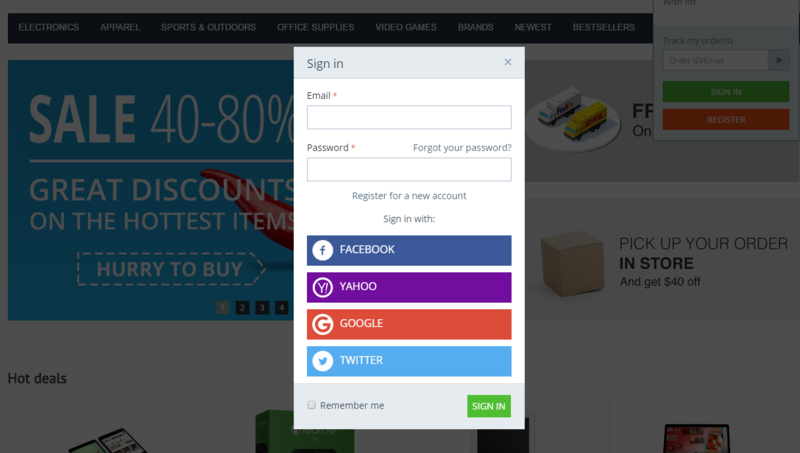 The Enhanced social login add-on simplifies user log-in incredibly. It reduces the login time and increases customers’ satisfaction. 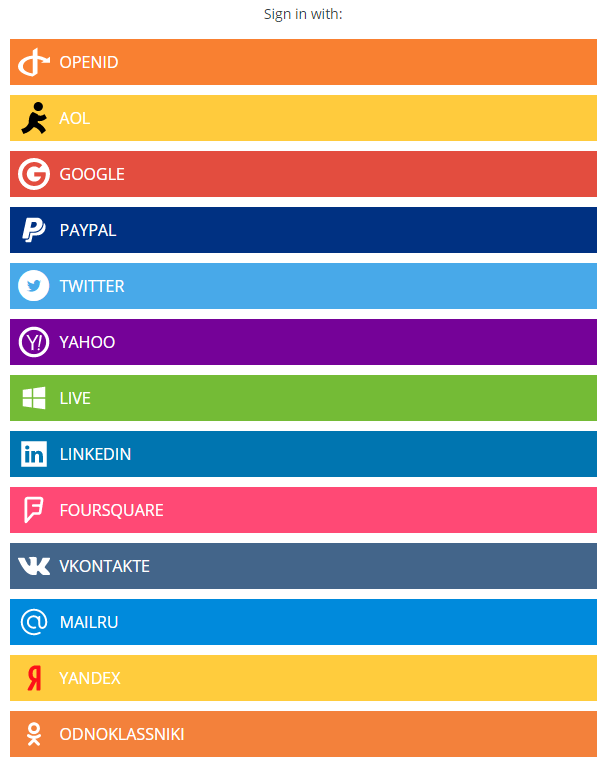 The add-on offers your customers social network login options such as Facebook, Google, Yahoo, Twitter, LinkedIn, OpenID, AOL, PayPal, Live, Foursquare, Vkontakte, Mail.Ru, Yandex, and Odnoklassniki. If customers enter the store using the Facebook account for the first time, they get registered. The Facebook and the store accounts are linked. The e-mail, password, name, and surname of the Facebook account are copied to the store account for fast authorization in the future. Users can log in/register with their existing social network accounts. The add-on can be installed/uninstalled without affecting other features. The default sign-in form is still available. Catchy social buttons in the pop-up window. [!] The profile page displayed incorrectly when selecting the settings other than the "Above the social login block" setting. Fixed. [!] The add-on did not change the appearance of social media buttons. Fixed. [!] The appearance of social media button on the "Edit profile" page did not change. Fixed. [!] Unnecessary tags that interfered SEO performance have been removed. [!] The functionality of the "Authorise by Google" button has been improved according to Google Sign-in Branding. [+] The sign-up form for OpenID, AOL, PayPal, Live, LinkedIn, Foursquare, Vkontakte, Mail.Ru, Yandex, Odnoklassniki social networks has been added. [+] The social network icons have been added to the registration page. [+] The ability to change the position of the social network icons has been added. [!] The product image in the Quick view pop-up moved left when the Enhanced social login was active. Fixed. [!] 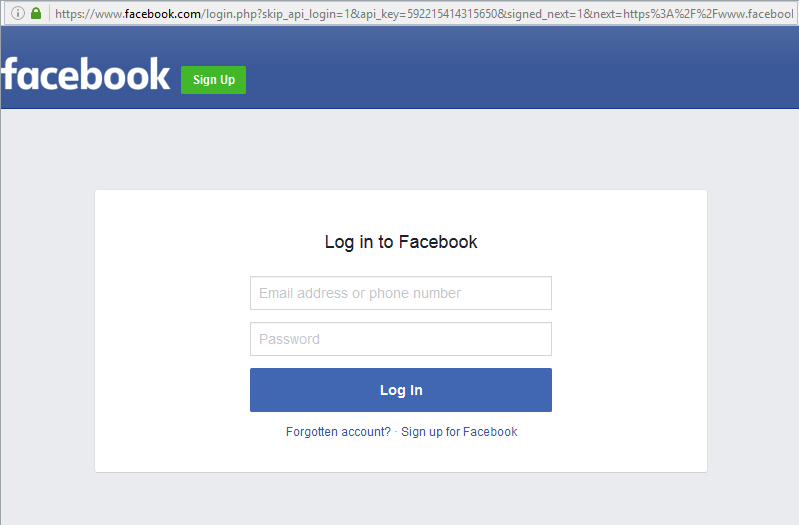 The Enhanced social login buttons were white. Fixed. [+] Yahoo authentication was included in the 4.5.0 branch.